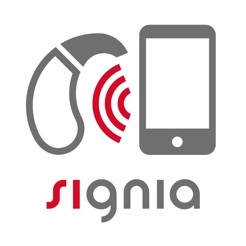 Turn your mobile device into a remote control for your Signia/Siemens hearing aids! The app enhances discretion by hiding the remote control within your mobile device without the need for additional hardware. Full control of your hearing aids looks as subtle as checking for a text message. The app will only provide all the functions if configured by your hearing health specialist. The app is only compatible with the latest generation of Signia/Siemens 7px, 5px, 3px, 7bx, 5bx, 3bx, Orion 2, Sirion 2, Teneo and Teneo+, Intuis 3 hearing aids. Click the Developer Website link at the bottom of this page for all compatible products. • Change hearing programs without the need to touch your hearing aids. • Change the volume easily and discreetly. • Easily mute and unmute the hearing aids. 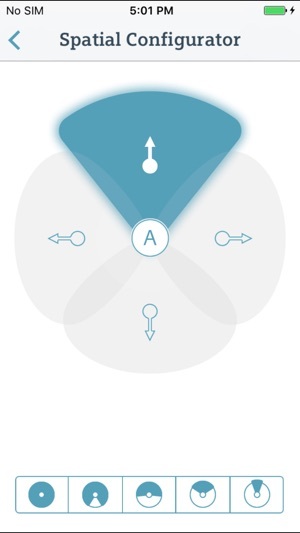 • Adjust bass & treble to balance the quality of sound. 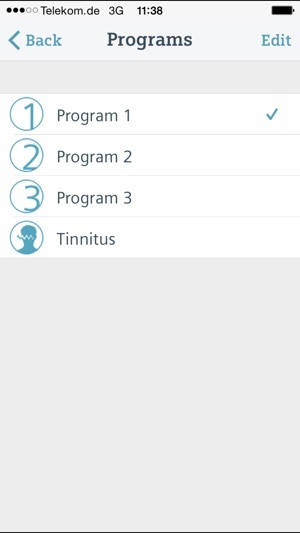 • Easily manage the volume of your tinnitus program. • Adjust the span and direction of the microphones (7px, 5px, 7bx and 5bx devices). • Check the battery status of your hearing aids (7px, 5px and 3px devices). The touchControl App is a tool whereby the patient can adjust convenience functions of a hearing aid, within a framework given by a hearing health specialist, e.g., ENT doctor, audiologist or acoustician. 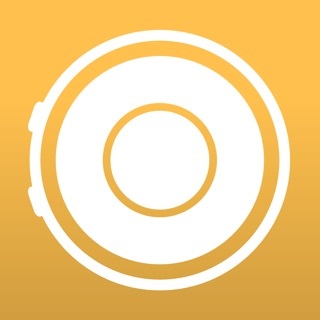 The touchControl App is compatible iPhone 4s, 5, 5c, 5s, SE, 6, 6 Plus, 6s, 6s Plus, iPod touch 5th Gen and iPad running iOS 8.1 or higher public release. The touchControl App is only compatible with the latest generation of Signia/Siemens 7px, 5px, 3px, 7bx, 5bx, 3bx, Orion 2, Sirion 2, Teneo and Teneo+, Intuis 3 hearing aids. A full list of compatible hearing aids can be found by clicking the 'Visit Website' link at the bottom of this page. 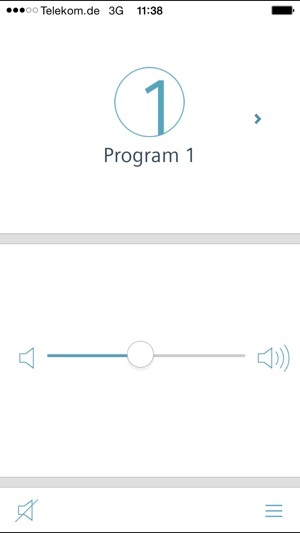 The touchControl app generates short control signals which are designed to be played through the devices speakers and may be audible. 1. While using the app do not hold the loudspeaker of this device to your ears or the ears of others. 2. While using the app do not use the device with headphones, headsets or other audio playback devices. 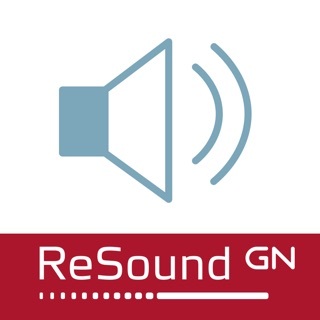 PLEASE CAREFULLY READ THE MANUAL OF THE HEARING AIDS BEFORE USING THIS APP. I recently had a baby and have had constant ringing since that has caused an issue when I went back to work. My ENT never mentioned this app before... I was lucky just by sheer luck to have found it. I had to make an appointment with my ENT to have it activated with my hearing aid. I have been using the app for two weeks now and I can really tell a difference. Of course it will never make to ringing go away but it certainly helps the situation. Being born hearing impaired I know not to expect too much from the app but man I wish I would have had this app all my life. Because I can hear a great difference. I wish I had a little more control of my aid, that is why it got a 4 star rating. But I can say even the doctor I work for has noticed a difference in the amount of things I'm actually hearing now! Thank you for the great help! I hope you keep improving this app! With no guidance or familiarity with apps in general, it’s challenging to figure out some simple things, like turning your hearing aids on or off with the app. Text should accompany symbols, i.e “Your Aids are On, on standby”, etc. For example, I did not know the sound made when hitting the mid volume mark is the only sound feedback you get. Shouldn’t I hear a sound for each increment that reflects the volume level? It seems like there are many areas that could easily be enhanced in terms of app feedback through the hearing aids. I unndersrand that Seimens makes money on hardware and nothing on software. Better just not to have an app. For some reason, the app stopped working. The pairing instructions are vague and need more detail. I was able to get connected again by selecting the app and reinstalling it. It feels like beta or even alpha software, but again maybe it is not designed to work with my model. The app appears unfinished, like development has stopped. Interface on iPhone x looks amateurish. It is hard to tell from the docs whether this app is supposed to work with signia insio 5 px. Maybe it isn’t. I am a new wearer and have ordered a remote also. 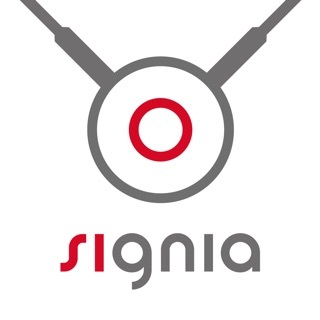 I am wondering if Signia would just rather sell an expensive piece of hardware rather than develop software for a smartphone. I would like to have both. There should be a comparison of features available on the remote ad opposed to the app. I go to ALL EARS HEARING in Sacramento Ca. There’s a girl there named Sydney. She is sooooo awesome! When I gone in she has always checked my hearing aids and re done my app twice cause my phone deleted it. Every time I leave there I hear better!!! Thanks to Sydney and this app. I wish I could make it a little louder but to be honest I know it’s working well because my tv volume used to be at 80 now its at 20. WOW !!!! Right. When I heard ringing cause of feedback Sydney has put some little filters that totally helped to kill that noise. I truly appreciate her help and this app is sooo cool. I joke to my friends when my wife starts nagging this app is perfect cause I just shut my aids off and they turn into ear plugs to shut out the noise, lol. © 2015 Sivantos Pte. Ltd.